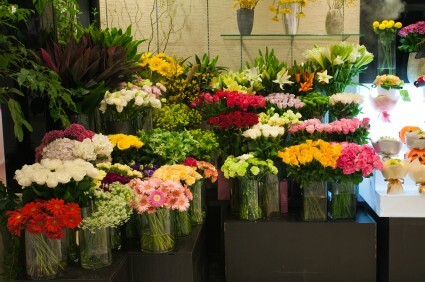 Buckets Fresh Flower Market and Florist is conveniently open 6 days per week. We are located 2 minutes from the Abbotsford Regional Hospital and Cancer Center. The McCallum and Hwy 1 interchange takes you right past the store to the hospital, Menno Hospital and many of the apartment and retirement homes in Abbotsford, B.C. We are available for your orders 24/7 from our personnal website. Or call the store directly to speak with one of our staff and choose your flowers directly. We have truly unique and inviting flower shop. Large pails of flowers,by the stem or in bulk, large mix bouquets, colorful arrangements , mix and match flowers yourself or have us put a beautiful bouquet together for you. Our store is set up for you to enjoy and smell the flowers. Our 7 day guarantee encourages our loyal customers to come back time and time again. They are amazed that cut flowers should last a long time. Check out our testimonial page. We can confidently say we have the best flowers in Abbotsford. Check it for yourself. See you soon.